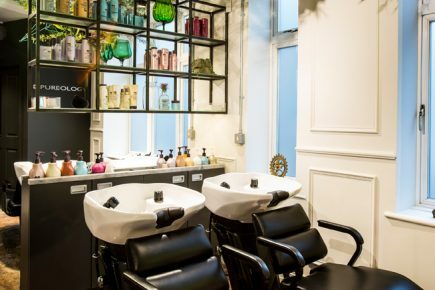 The George Northwood salon is inspired by the world of fashion, art and beauty, mixed with a handpicked edit of the best stylists, colourists and therapists in London, all trained in the unique George Northwood methodology. Stylists work to create bespoke cuts, rooted in an understanding of hair and fashion, within the holistic and healthy space of the salon. George began his hairdressing career over twelve years ago, and his instinctive understanding of hair allowed him to climb the hairdressing ranks quickly, eventually seeing him as a Creative Director in some of London’s most prestigious salons. The George Northwood salon, London, is his first solo venture, and George remains committed to both here and his session work, including magazine editorials for the likes of Vogue and Harper’s Bazaar. He has a unique take on modern and edgy styling, winning him many famous clients.